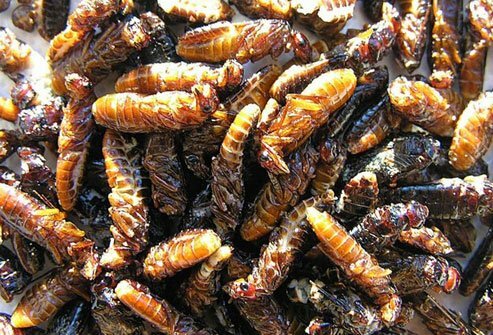 You might think of eating insects as something kids do on a dare. 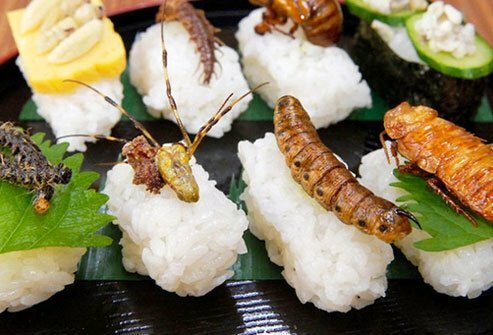 But some of these little animals are popular around the world for their nutritional value -- and they're starting to catch on in the U.S. Not long ago, sushi and lobster didn't seem all that appetizing to Americans, so it's not as far-fetched as it sounds. Adult crickets can be a good source of iron, protein, and vitamin B12. They're prepared in a lot of ways. The least noticeable is probably when they're ground into a powder that's added to protein shakes and flour. 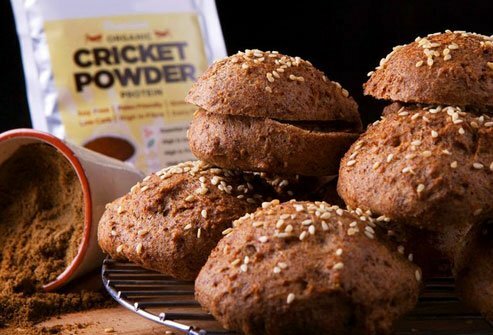 You can already find "cricket flour" in one brand of chips available in America. High in protein, these creatures are popular worldwide, especially in Mexico, Latin America, and parts of Africa and Asia. They're in such high demand in Uganda that they cost more per kilogram than beef. 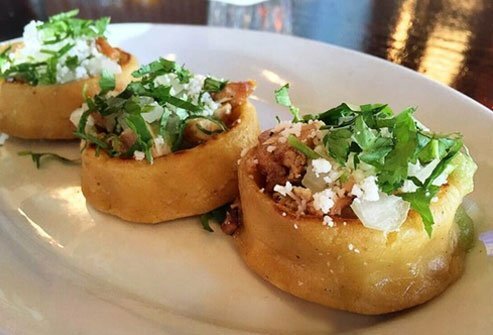 In Mexico, they're typically served toasted in oil, with garlic, lemon, and salt. That snack has made inroads in the U.S. Major League Baseball's Seattle Mariners have introduced a version to their fans -- toasted with chili powder and key lime salt. They may be best known for chewing through wood, but in Africa and other parts of the world they're known as food. Rich in protein, fatty acids, and other micronutrients, termites also have iron and calcium. They're served fried, smoked, or sun-dried. Certain kinds, especially the larvae and pupae of the weaver ant, are in high demand in Asia. They're considered a delicacy in parts of South America, where some of the top chefs often use them in high-end dishes. A good source of protein, they're said to have a lemony, citrusy flavor. The larvae is the form of the bee that's normally used as food. High in amino acids, B vitamins, and other nutrients, bees have been described as having a buttery, kind of fatty texture. They're a staple in Thailand. Australian aborigines use stingless bees as a source of sugar. 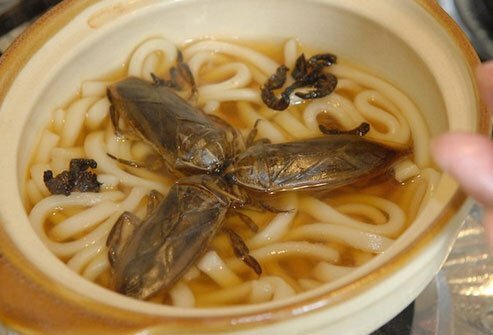 The most popular of the insects you can eat, the adult H. parallela is rich in protein and several vitamins and minerals. They can be dry roasted or used in recipes (with the head, arms, and legs removed). In 2012, Starbucks revealed it used extract from cochineal beetles to help color one of its strawberry beverages. After some negative reaction to the statement, the company went to a tomato-based coloring. These insects have lots of omega-3 fatty acids, protein, vitamins, and minerals like copper, sodium, potassium, iron, zinc, and selenium. They can be eaten raw but are most often served dry-roasted or ground up and added to flour. In Mexico, they're sometimes used this way to make tortillas. 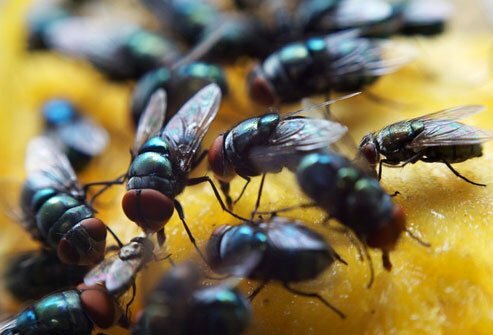 Certain types of flies, which are rich in protein, are ground up and used in east African countries to enrich baked goods like crackers and muffins, as well as meat products like sausage and meatloaf. They also can be eaten roasted or sun-dried. In parts of Africa, nearly 9.5 billion of these are harvested each year. That's in part because they're an important source of protein, especially during the rainy season. 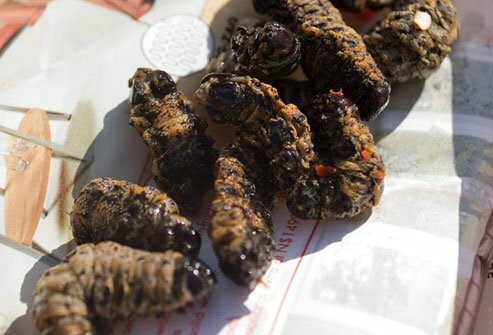 Caterpillars are also popular in Asia and Mexico, where one of the most common ways to serve them is fried or braised, seasoned with a spicy sauce, and wrapped in a tortilla. They also can be found at the bottom of a bottle of mescal tequila. Don't get thrown by the name. These creatures have lots of nutritional benefits. 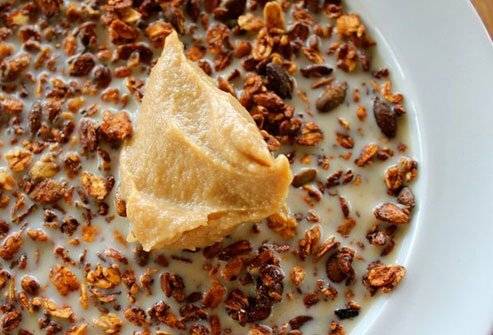 They have fatty acids, flavonoids (chemicals that help fight inflammation), and amino acids. They also can be rich in minerals like iron, potassium, and phosphorus. Some say that some species taste like cinnamon, while others are like a sour apple. In southern Africa, they're soaked in lukewarm water to release their toxins, then sundried, washed, and cooked in warm water and salt. This relative of the water boatman or backswimmer is something of a treat in Thailand, where it's found only in June. You can eat them whole or crushed, ground, and added to chili paste. 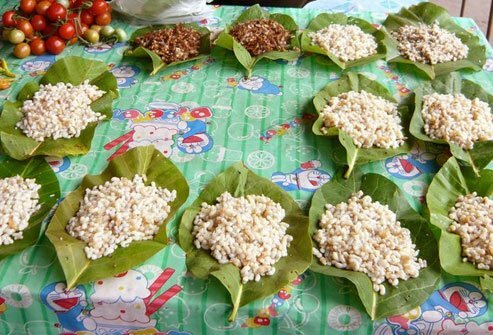 This mixture is known as jaew maeng da in Laos and nam phik in Thailand. As easy as it might sound, it's not a good idea to go out and harvest your own insects. They need to be processed and stored the right way. Once you've bought them from a regulated seller, preparing them is about the same as most kinds of food. Just be sure to clean and cook them properly. For example, stink bugs need to be soaked in warm water, never hot, because hot water will instantly kill the bugs and keep them from getting rid of their toxins. David Orozco, registered dietitian nutritionist, Atlanta. 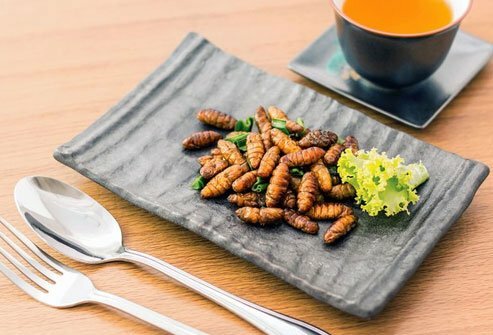 European Journal of Clinical Nutrition: "Are edible insects more or less 'healthy' than commonly consumed meats? A comparison using two nutrient profiling models developed to combat over- and undernutrition." 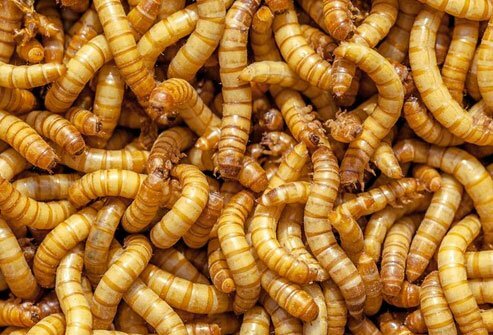 Food and Agriculture Organization of the United Nations: "Edible Insects: Future Prospects For Food and Feed Security." ESPN.com: "A Side of Grasshoppers." Valley News: "Grasshoppers are Back! Mariners Keep Crowd Favorite On Menu For Second Season." Marianne Shockley, PhD, University of Georgia. Journal of Insect Science: "Nutritional Composition and Protein Quality of the Edible Beetle Holotrichia parallela." Manataka American Indian Council: "Buggy Recipes." 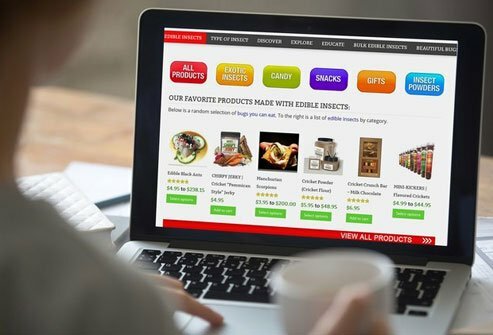 University of Wisconsin-Madison Department of Entomology: "Gene DeFoliart - Insects As Food: Some Edible Species." 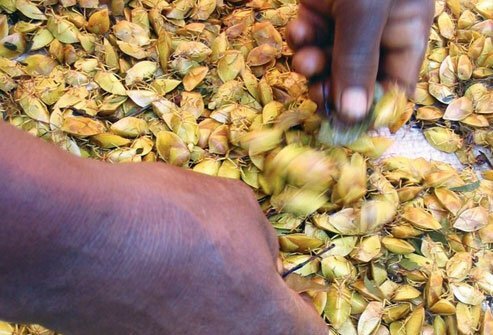 SciDev.net: "Stink Bug Could Boost Health and Nutrition In Africa."